The studio is so quiet this morning. I’m not really sure how to start my week without seeing Chantel’s cheery face and hearing all about her weekend. Friday was her last day here, after 4 1/2 years she’s moving on. What a girl, what an absolute treasure. We consider ourselves very lucky for having had her as such an integral part of the team for so long. Chantel’s beautiful work is a result of a perfect combination determination, dedication and care for what she does. 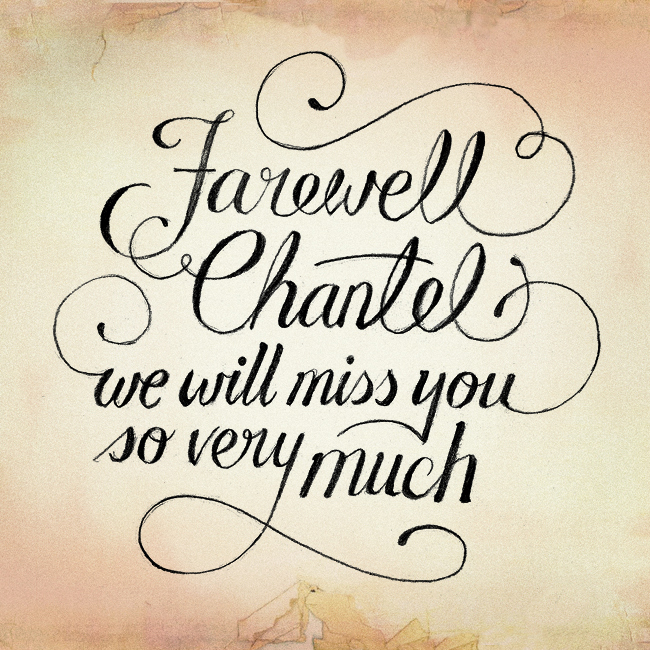 We will miss her so very much, and undoubtedly our clients will miss her too. Thank you Chantel for your sincerity, for bringing your smile every morning, for the thousands of cups of tea at 9am and 3pm, for embracing whatever craziness is going on – client fun runs, blog entries, Rizzeria printing, AGDA nights, book club, gingerbread houses… we sure have had some good times. Just letting ya’ll know about a little art show which is on for one night only next Thursday 28th June, 6pm at the Lo-Fi Bar, 383 Bourke Street (above Kinselas on Taylor Square), Darlinghurst. It’s called The Art For Jungle Project, and it’s an eclectic collection of art, design and jewellery with contributions from artists across Australia. 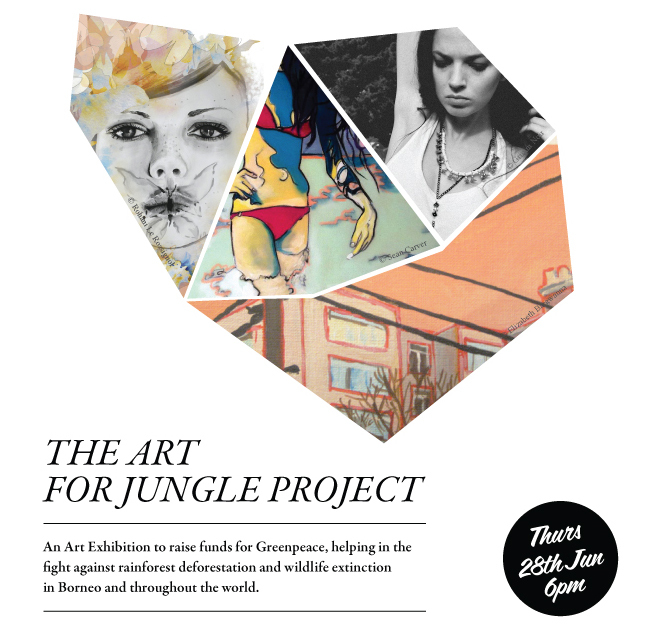 The purpose of the exhibition is to raise funds for Greenpeace, so they’re collecting $5 donations at the door. I’ve handed over a couple of my etchings as well as two of Boheem’s not-yet-launched typographic screen prints. Hope to see you there! Another feather in the cap – Hurrah! 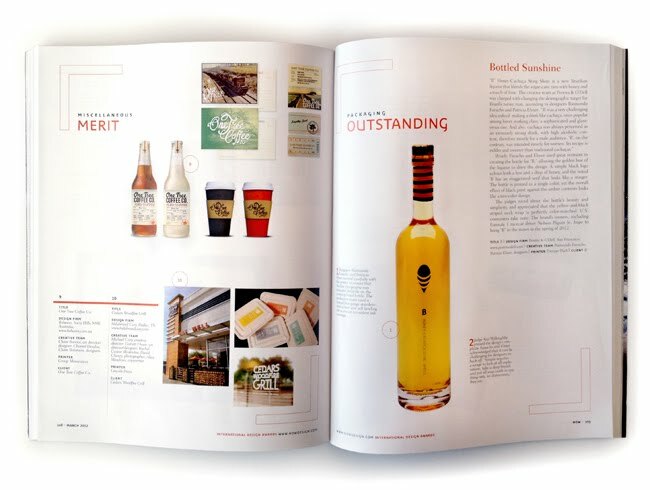 One Tree Coffee Co. branding continues to show its popularity with its ‘Miscellaneous Merit’ award in the How International Design Awards. Pssst. 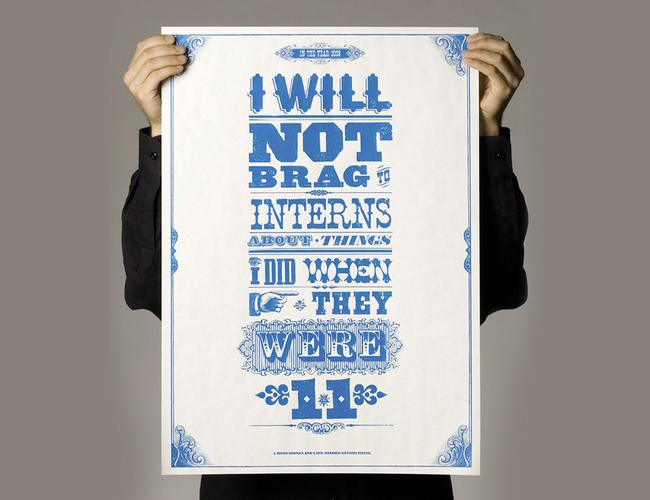 We have our eyes peeled at the moment for impressive graduate portfolios and are keen to meet with the wide-eyed, enthusiastic, talented people behind them. Haven’t officially advertised yet, but get the feeling that very soon a Junior Graphic Designer position will become available at Boheem. No experience necessary; just a clever, conceptual approach to design, a happy disposition and a preparedness to help out with anything and everything. 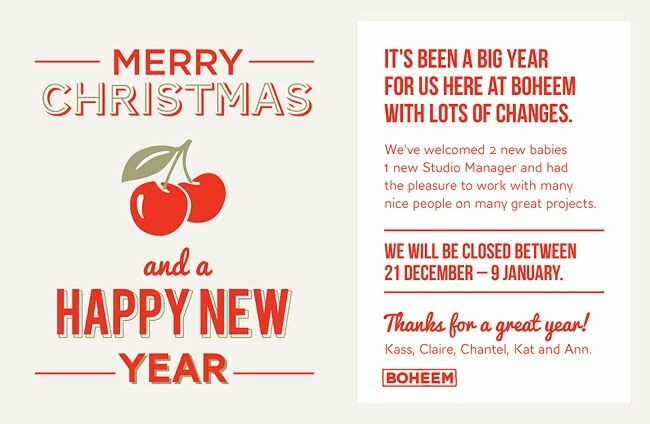 Send a pdf to Claire and Kass at jobs@boheem.com.au. On my past few visits to New York City, I have paid a visit to Greenwich Letterpress in the West Village (visit their blog greenwichletterpress.blogspot.com). I have wondered why we didn’t have a similar printing press/store in Sydney, this was true until now. 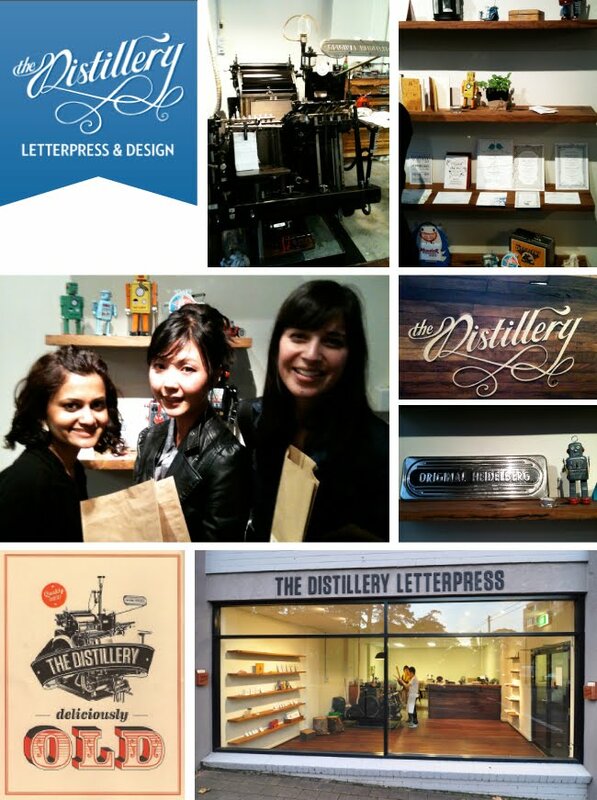 Last Thursday evening, Chantel, Kat, Mei, Jo and I went on excursion to the grand opening of The Distillery Letterpress in North Sydney. The smell of ink greeted us, and after a short demonstration where we saw the 1959 Heidelberg Windmill Press in motion we were sold! There is a special place for letterpress in every graphic designers heart, the textured, pillowy paper subtly debossed brings design to life. We were impressed by the team at The Distillery, they really seemed to know their stuff – and their passion for the fine art of letterpress was inspiring. 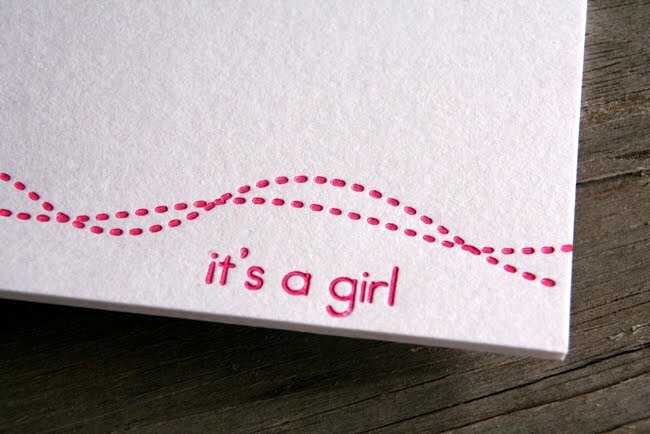 To put it simply, letterpress printers are to printing what artisan bread makers are to baking – yum! Claire and Aaron welcomed baby D’arcy Ruth into the world during the early hours of Saturday 10th September. 4 weeks early she took us all by surprise, but we are so happy she arrived safe and sound. D’arcy is as cute as a button, and has become the 3rd Boheemian baby girl to add to our growing list. Regular visitors to the blog will realise Claire does most of the posting for us… However with Claire now out of action for a few months, you are stuck with the rest of us! We are not as articulate as Claire and are sure to have apostrophes’ out of place and possibly the odd spelling misstkae, but stick with us and hopefully we will come up with some insightful bits and bobs. Kat and I headed to The Papermill on the weekend for our type drawing workshop with Gemma O’Brien. We spent three hours working through some pretty fun exercises with Gemma and 20 or so other creatives – and we left feeling inspired and like we’d achieved a lot for a Saturday morning! It was lovely to get off the computer and use our hands to generate type – and it definitely made us want to draw more. This is a not-so-great photo of the result of Saturday’s final exercise where we each had to focus on a letter. Bet you can’t guess which ones are ours!